edusanjal.com is Nepal's leading education portal. For last eight years, it has helped millions of Nepali students by providing timely, accurate and unbiased information about courses, scholarships, careers, colleges among others. To serve those students better in upcoming days, edusanjal is seeking applications from passionate and smart people who are highly motivated and want to do something extra, something big in the education sector of Nepal. Bachelor's degree in English, journalism, or in any disciplines. Excellent English language skills (Reading, Writing and Typing). Should show excellent editing as well as proofreading skills (Grammar, punctuation, sentence structure etc). Should have strong drive for success and can work during off time, odd time and can contribute as/when needed. Excellent typing skills and passionate about education sector of Nepal. Time: 8 AM to 4 PM. Please remember, we are not looking for part time consultant/contributor. This job requires you to be competent as well as professional. We are looking for a candidate who wants to dedicate his/her life in the education journalism and can be the part of the team for a long term. Salary: During probation period (which may range from 1 month to 3 months), your salary will be within the range of Rs. 20,000 to Rs.25,000. After probation period your salary will be increased based on your contribution. For people with excellent track record of writings, THERE IS NO BAR ON SALARY. Experience: Candidates having experience as a content writer for leading magazines or organizations are preferred. Based on your performance and value you have added in the development of edusanjal, you will be eligible for extra benefits and commission. 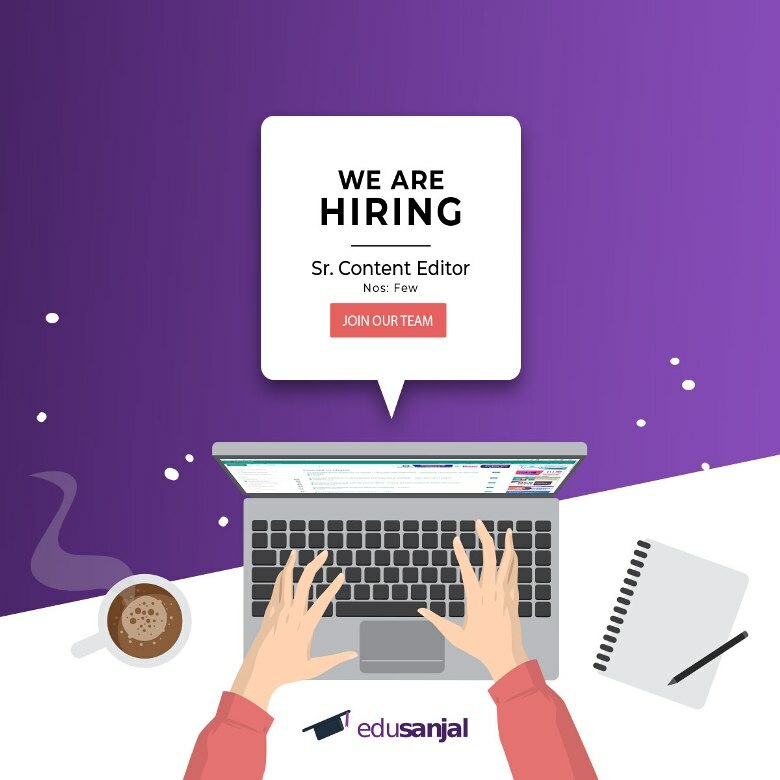 For applicant with strong drive to take edusanjal content management to new height, we are also open for equity partnership after you prove that your presence can make huge difference in the growth of the company. You will be judged based on your performance on two criteria: Speed and Accuracy; Innovation in the content management may take your position to a whole new level. Creating education related content in the designed format with the supervision of the seniors and later independently. Working with colleges to update information about the courses/colleges. Updating information related with scholarships, events among others with communication with respective organizations (when needed). Managing social profiles of edusanjal. If the above quality matches your personal traits, skills, expertise and education qualification, please send us your CV and commitment letter mentioning expected Salary to hr@edusanjal.com. Initial screening will be done based on your commitment, and your track record of performance related with the work areas of edusanjal.com. First Round: Your commitment letter, CV and experience in related field. Second Round: Written Examination and Skill Testing .